USDA Prime Steak Slices from Stock Yards® are thinly sliced and carved from our USDA Prime Sirloin steaks. As convenient as these strip slices are delicious, these strips make a mighty fine steak sandwich. 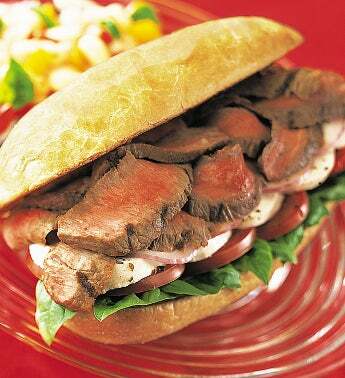 USDA Prime Steak Slices from Stock Yards® are thinly sliced and carved from our USDA Prime Sirloin steaks.